Morquio A is a rare and progressive inherited disease. It affects everyone differently, impacting organs, bones, and other parts of the body. Morquio A is a form of mucopolysaccharidosis (MPS), a lysosomal storage disorder. What happens in Morquio A? 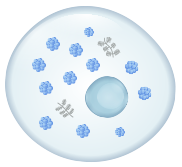 Without enough GALNS, GAGs build up in cells throughout the body. Want to learn more?Watch helpful videos about Morquio A.
Morquio A is caused by mutations in the GALNS gene. These mutations are why people with Morquio A do not make enough GALNS. 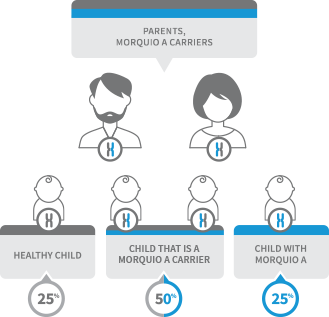 Morquio A is an autosomal (au·to·so·mel) recessive disease, which means both parents must have the same genetic mutation to pass on Morquio A. There are over 270 mutations of the GALNS gene, which may be why people with Morquio A experience varying symptoms and disease severity. REMEMBER: While each person’s experience with Morquio A is different, symptoms will progress over time. Find resources and tools to help you manage Morquio A. When do signs and symptoms start? The signs and symptoms of Morquio A affect individuals differently. For many, enough GAGs have built up by age 2 or 3 to start causing problems such as oddly shaped bones, knock knees, a curved spine, and irregular chest growth. For some people, more serious symptoms can begin at 6 months old, while others may not see initial symptoms (hip stiffness and pain) until the second decade of life. Regardless of when these various symptoms begin, Morquio A is a progressive disease that can change over time. 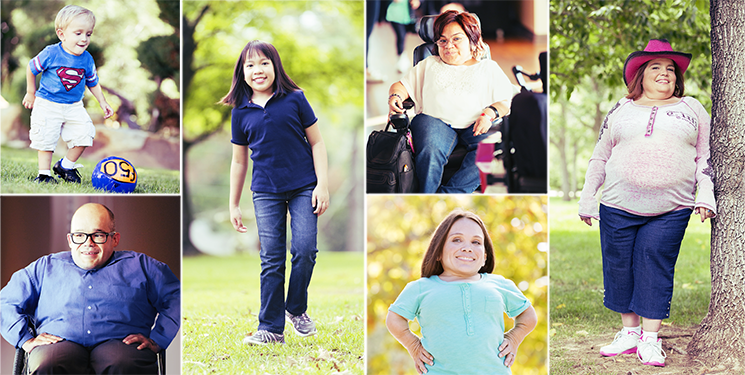 While Morquio A symptoms can vary, many patients may share yours. Read the stories of others with Morquio A by joining MorCommunity. Roll over the highlighted areas to learn more. 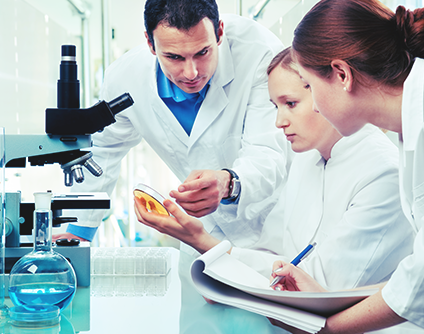 Enzyme activity testing is considered the “gold standard” for diagnosing Morquio A. Usually done by analyzing a person’s blood, the enzyme test measures the activity of GALNS in the body. Molecular testing. 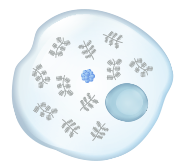 This is an optional test that identifies mutations in the GALNS gene. Molecular testing is necessary for prenatal and genetic carrier testing. This can reduce the risk of passing the disease on in families. People with Morquio A need a coordinated healthcare team that includes a geneticist and a variety of doctors called specialists. 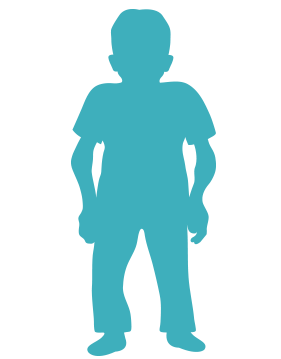 Diagnosis of Morquio A requires a visit to a geneticist, a doctor who treats patients with genetic disorders.